This summer, try planting some milkweed on the edges of your garden. Transplanting young plants will be the easiest way to establish these butterfly friendly flowers. 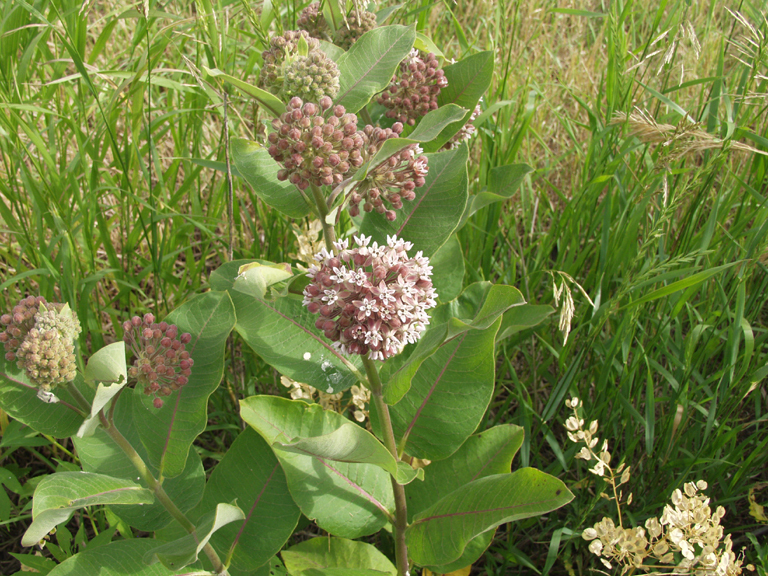 Plants can be found in roadside ditches and pastures. I remember when my kids were younger, we would plant milkweed in pots and bring them into our sunroom. We would collect the small monarch caterpillars and place them on the plants to finish out their growth cycle. The caterpillars would then form their chrysalis on the plants and sometimes on our porch furniture. 10 to 14 days later the monarch butterflies would emerge. After they dried their wings, we would gently place them on our fingers and release them outdoors. Several years we hatched over 75 butterflies.